Box Office Futures Listcore: Denzel And Fuqua Reunite! You guys ready for YET ANOTHER REBOOT THAT WASTES THE TALENT OF ITS STARS AND DIRECTOR? Well, unfortunately, it looks a lot like you are. Sony has been great in hyping their $90 million-budgeted remake of the classic 1960 Steve McQueen/Yul Brynner/Charles Bronson western, helmed by “Training Day” director Antoine Fuqua and starring Denzel Washington and Chris Pratt. The advent of two legit A-listers and fun advertising is already propelling this to the top spot. It made $1.75 million in Thursday night previews, besting the $1.35 million of “Sully” en route to a $35 million finish two weeks ago — and outperforming the $1.5 million brought in by the last Fuqua-Washington collaboration, 2014’s fantastic “The Equalizer” — en route to a $34.1 million first weekend. “Seven” could threaten the $40 million mark this weekend, but I’m going to call it for a $37 million opening take. Also — isn’t it weird that a $90 million movie with two mega-stars is somehow being released in 248 fewer theaters than a $70 million kidpic whose biggest star (Jennifer Aniston) can only open romantic comedies? Warner Brothers’ malicious $70 million childbirth misinformation campaign, “Storks,” opens in the most theaters for a new release this weekend — but it does not have the biggest theater count overall (see my prediction for the #3 finisher below). As an animated movie, its core audience (little ones who won’t see a movie on their own) was not going to turn in droves between 6 p.m. and midnight on a Thursday — so its $435,000 Thursday night preview haul shouldn’t be thought of as a harbinger of doom for the movie’s weekend take. This just looks horrible, though, so I don’t like the optimistic projections of other sites. I respect the filmgoing public too much, you see. 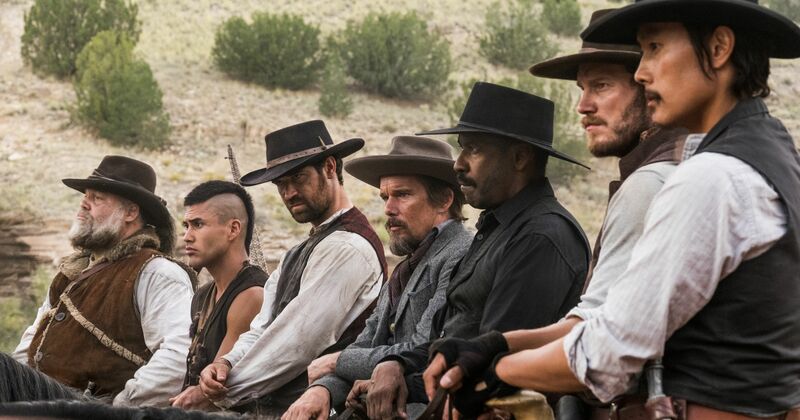 It’ll open with $25 million and, filling a gap in the marketplace, will hold up very well, matching or besting the final haul of “The Magnificent Seven,” which will be significantly more front-loaded. The #1 hit of the last two weekends will get knocked down two pegs this weekend. Clint Eastwood’s mustache-fetishizing real-life actioner “Sully” will dip for sure, but it has a secret weapon to cushion the blow — after two very successful weeks at the top, Warner Brothers is adding 430 theaters to its tally, a 12.2% bump. That is a very significant addition, designed to capitalize on very positive audience and critical buzz. It fell by just 38.2% last weekend, very good for any movie with a $30 million+ opening. I think it’s going to hold up equivalently or maybe even a bit better this weekend, and I think the marketplace will swell to accommodate two successful adult-oriented action pictures. I say “Sully” descends by 35% to a $14 million third weekend and a $93 million 17-day sum. It will cruise past $100 million by the start of its fourth weekend, with a lot more money in store. “Snowden” has been holding up well during the week, supplanting “Blair Witch” to take the third spot from Monday through Wednesday. I think it’s going to have a slighter drop this weekend than “Bridget Jones,” which will perform more like a traditional sequel and fall harder. “Bridget Jones” has been performing better than “Snowden” this week, but averaging less money per theater. “Snowden” will pull ahead this weekend. That will bring its total to $16 million — its march to $30 million is no doubt assured, but I think that finish is quite possible. After a rough first weekend, the bleeding will continue for Universal’s latest sequel miscarriage, “Bridget Jones’s Baby.” You weren’t expecting that graphic a reference, were you? GOOD. Anyway, as I mentioned, “Bridget Jones” has been performing well during the week, but its luck is doomed to run out now, with adult women’s eyes shifting to the stud muffins of “The Magnificent Seven” or the stupid talking critters of “Storks.” It’ll see its crowd cut nearly in half, to a $4.5 million weekend, and a $16.5 million sum to date.